What’s better than free apps? Paid apps going free of course. As part of Apple’s weekly Free App of the Week promo for iOS apps, iPhone and iPad owners now have the chance to grab a title usually retailing for $3.99 for absolutely free for a limited time. Called Robot Factory, it is an interactive game of sorts looking to get you into some cool robot-building mood. This is the first time the title has completely shed its price tag. All of the cool terminologies and robot names mentioned below, should alone be enough to catapult those slightly inclined towards technology and sci-fi robots into this world, that well, as the developer puts it, is for kids aged 6+. If that’s not enough, thrown into the mix are “Robot wizards. Robot lizards. Robot dancers. Robot doctors. Robot moonwalkers.” Of course if you’re not one for giving your kid the tablet freedom or your own iPhone for that matter, you’d be glad to know that the app is a universal fit for the Apple TV as well, brining all those robots right onto your big-screen TV. Build thousands of different robots from 100 parts. Test your robots to see if they will (or won’t!) walk, run, hop, and fly. Try out physics-driven robot parts in real world situations; swap them out for different results. 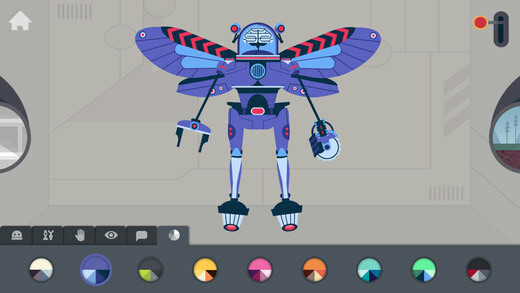 Colorize your robots with nine different color schemes. Record your own robot sounds. Send text messages with robot stickers! Sticker pack is included. Multi-user system: each child can create and save their own robots. No in-app purchases or 3rd party advertising. Play in peace! Original artwork by Owen Davey, the illustrator behind TwoDots. 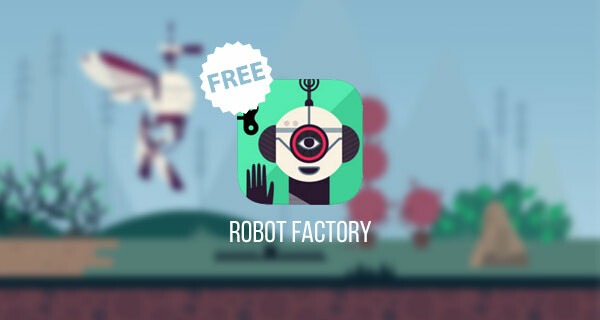 As mentioned earlier, you can now download Robot Factory for free till next Thursday.